It seems everyone is talking about “content marketing” now doesn’t it? However, not all site owners feel comfortable creating their own content or writing their own articles. For those people, sitting down to type something out is likely a daunting feeling. Where to begin? What to say? That’s how I feel when I open a Chemistry book. Huh? Writing comes easily to me but Chemistry – not so much. Read up on various topics of interest, at the blogs and sites you most enjoy. If something sparks your interest, write a spin-off post. For instance, if you love gardening and you read a fun post about gardening tips, consider planting your own garden. Track the progress, week by week, and link over to the original post that got you started. I often write spin-off posts from articles that really peak my interest. I enjoy carrying on the thought process and pulling my own readers into the fun. Many people go looking for guest author opportunities. Add a menu tab to your site/blog and let people know that they can submit articles for review and possible posting. Do not accept all articles. Be choosy and wise about the content you post and share. Locate a trustworthy writer who can cover content for your blog or site. It is especially helpful to find someone who already understands your niche. Head outside for a walk. Explore nature and be watchful of what you see, hear and find. Use that data to create a post or photo gallery. Do you enjoy people watching? There’s no better place for it than the mall, right? Take your time strolling around, looking for funny or interesting stories to elaborate on. Have you ever been to the Zoo and NOT had something silly or funny happen? Every time I’ve gone to the Zoo something nutty happens; either to my own family, to an animal, or to another Zoo visitor. This could make for an interesting post. A lot of readers really enjoy reading a heartfelt post that digs into a fear you have. Do you fear writing? Do you fear the rejection of a post? Open up a little and let it out! You may even help someone else, in the process. Write a funny top ten list about things your kids say or funny things you’ve heard at the store. Take a pad and paper (or iPhone, etc) with you to the store, just in case you overhear something comical. I offer a free interview option on one of my blogs for small business owners. They can fill out the form and request a “free small business feature.” This is a nice way to get some fresh content while helping someone else gain free promotion. If ever in doubt, fall back on your area of expertise. What is your background? Can you draw from that to create an article, webinar, photo gallery or another form of content? Can you offer video tips or training clips on YouTube? How about offering your readers/viewers a series of videos on “How to _____”? This could generate some helpful and useful content. I once saw a video series on crafting: “How to create your own crafts with kids.” The craft company generated multiple do-it-yourself videos for their consumers to watch and learn from. In my opinion, these lists were never all that helpful, as most of the lists were generated by people who named their own friends or colleagues. Or the lists were created by algorithms that told us the bloggers were the ‘best’ based on high traffic stats - when in fact, having a favorite blogger is a rather subjective thing. Some bloggers create fantastic content but have very few readers. I suggest you steer clear of “best” lists and focus more on linking to a blogger you love, who wrote a wonderful article. Carry on the thought process and keep the conversation going. A lot of bloggers who see that you linked to them will be highly professional and will pop over to thank you for the mention. I’d highly recommend staying away from this rich content area, unless your goal is to tick people off and generate angry comments. If that’s your goal, fine. If not, don’t write about how much you hated a post or another blogger’s point of view. Don’t mock others or belittle people or name call. The backlash likely won’t be worth the reader stats. Being mean is never a professional way to behave. Shara Lawrence-Weiss has a background in education, early childhood, special needs, freelance and marketing. She owns various websites including: Mommy Perks, Personal Child Stories, Early Childhood News and Resources, Emergent Literacy and Weiss Business Solutions (co owner). Shara actively assists with children’s charity events and will soon be returning to a primary school Para position. Learn more about Shara and Rick. You can view additional Guest Posts here. Sometimes, the line between competitor and partner can be blurred. New business owners tend to feel like they are running a marathon, alone. But, it doesn’t have to be that way. You can form partnerships, collaborations, alliances and make your race more like a relay. Other women in business don’t always have to be a competitor that you need to keep at a distance; they can also be your partner. I encourage entrepreneurs on a regular basis to form partnerships and work with others. It can be very beneficial in several ways. Partnerships are one of the founding principles of Market Mommy. They allow you to expand your services, your knowledge base and in turn, what you have to offer your customers and clients. Sometimes, partnerships can be elaborate and detailed. You may actually want to go into business with someone or combine your product lines. This can be very positive, if you find the right business and the right business owner. It may very well make sense. Or, partnerships can be informal and less structured. Some business owners work together to include coupons for other mom-owned businesses when they ship an order. A lot of cross promotion is done for fellow entrepreneurs via link exchanges and social media. Of course, as in any business, there will be those who you are in direct competition with. My advice is to look at the competition as an opportunity for you to learn and grow. Many of us have a competitive spirit, and that’s healthy. Use it to become creative, try new things and expand your horizons. There are several possibilities when you are looking to form partnerships with other business owners. As you are researching and learning about your market, don’t assume everyone is a competitor. Look a little deeper or you may miss an excellent opportunity for collaboration. Check out some of the awesome mom-owned sites that we are currently partnering with at Market Mommy:: Christian Moms Business Resource, Funky Finds, Lower Mainland Children’s Directory, Our Milk Money, CWAHM, Chic Galleria, Moms Zone, Living My MoMent, The Work at Home Woman, Mommy Perks, Baby Swags, Apriori Beauty, Always B Designs, Travel with the Magic and Promoting Mompreneurs. I encourage you to visit our partners; they all have something wonderful to offer their fellow mom entrepreneurs! If you’re interested in partnering with Market Mommy to increase your exposure, visit our partnership page for more information, or send me an e-mail! Twitter is easy and it’s fast. It’s pretty much a gateway into your business, your blog, your life. It’s a great way to get more exposure. But, are you using it effectively? First of all, do others you regularly connect with know you are on twitter? You should be telling others about it. Your twitter handle, or ID http://twitter.com/MarketMommy}, should be on your blog, on your About Us page, on anything you publish, on your facebook page, in your e-mail signature, etc. Do you have followers? How many people are you following? One of the most obvious ways to increase your relevant followers is to first seek out others who you want to network with. Find other mom business owners that you’d like to connect with, learn from, sell to, etc. When they get the notice that you’re following them, chances are they’ll check out your profile and maybe follow you back. In my opinion, one of the most effective ways to make twitter work for you is to make personal connections with others. Read others’ tweets and respond to them. Reply and make conversation, build friendships. You should already have multiple things in common with those you are following, use that to your advantage. You can also use direct messages to exchange e-mail addresses and other information more directly. It’s been said that microblogging is the future of the internet. On some level I’m sure that’s true. Twitter really is a great tool and there are so many neat things you can do with it. You can search for people, find conversations about things you’re interested in, automatically follow others, track your tweets, automatically tweet your blog posts and add badges to your site. Keep in mind that everything takes time. Building an effective network won’t happen overnight, but with a little effort twitter can be a lucrative networking tool. I've worked with Swanky Moms before. It's a great site for moms, and offers some great advertising options for mom business owners. I've advertised both Announcements Galore and Market Mommy on Amber's site. Now that the site's founder, Amber, has taken on a full-time job outside of the home she can no longer maintain the site like she wants to. So, it has been posted for sale. It's been posted on Ebay and the auction is live for the next six days. If you've considered being a WAHM, but aren't sure where to start, this could be a great opportunity for you. All the details and site statistics are included in the listing. It is a well-established site. Click here for more information! Do you have a business but don’t feel as though it’s moving forward like you want it to? Don’t feel like you’re making the money you should be making? Have you considered finding a mentor to partner with? 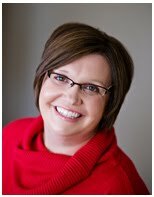 Jill Hart is a fellow Christian work-at-home-mom whose passion is to help other women work from home too. She is the founder of www.CWAHM.com, where she has spent the past 10 years helping other women work from home and build strong, marketable and profitable businesses. She’s also the co-author of So You Want To Be a Work at Home Mom. Hart has now complied all of her experience to create a mentoring program entitled SuccessFul Christian Women. The program will walk you through all the steps of starting, maintaining a successful business, and balancing it with your family and your faith. · Honoring God in your business and your life. When you join the program, you’ll get an initial 30 minutes on the phone with Hart, in addition to the monthly calls. Monthly membership levels start at just $37/month. For more detailed infor mation, click here.